Published October 25, 2015 at 616 × 416 in Getting to Pafuri. Oh, it is so beautiful! Blue is my favorite color, and this bird has a beautiful variety of blue hues and curious detailed patterns, like the blue degradé in the wings and the line of little darker blue spots. The contrast of blue hues and the orange eye is also very interesting. Have a great day! 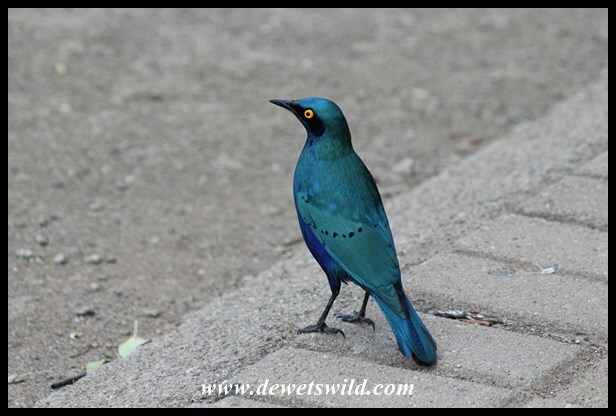 These birds are beautiful, Marianne, and luckily they’re rather common so we get to enjoy their beauty a lot!